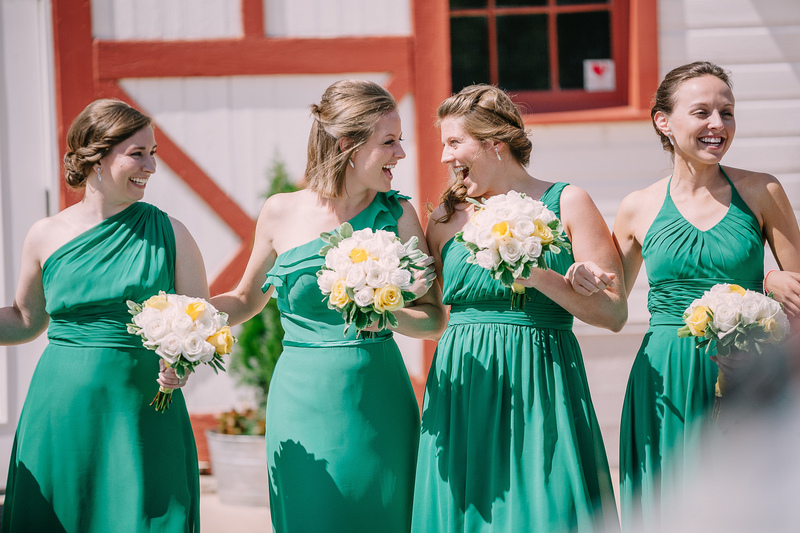 Angela and Kelsey were married at WinMock at Kinderton in Bermuda Run, North Carolina. 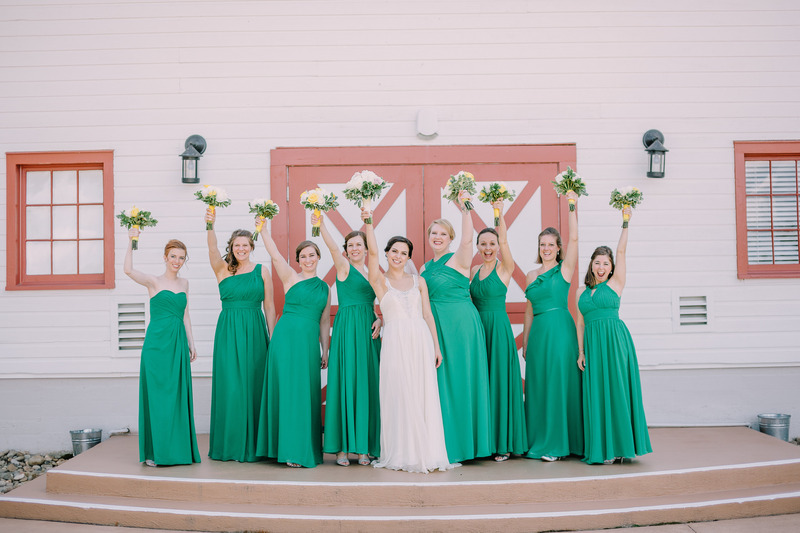 They chose emerald green, with ivory and yellow accents for their wedding colors. 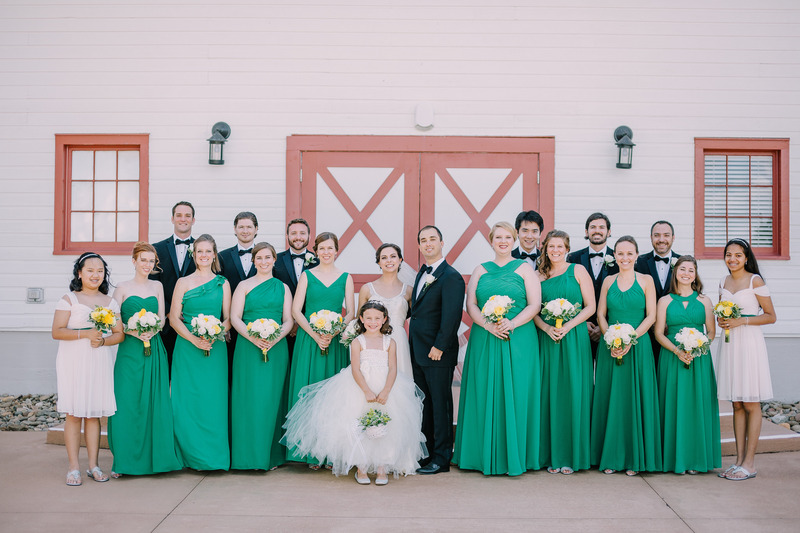 There is no special significance to the colors but Angela wanted fun and bright colors for their summer wedding. 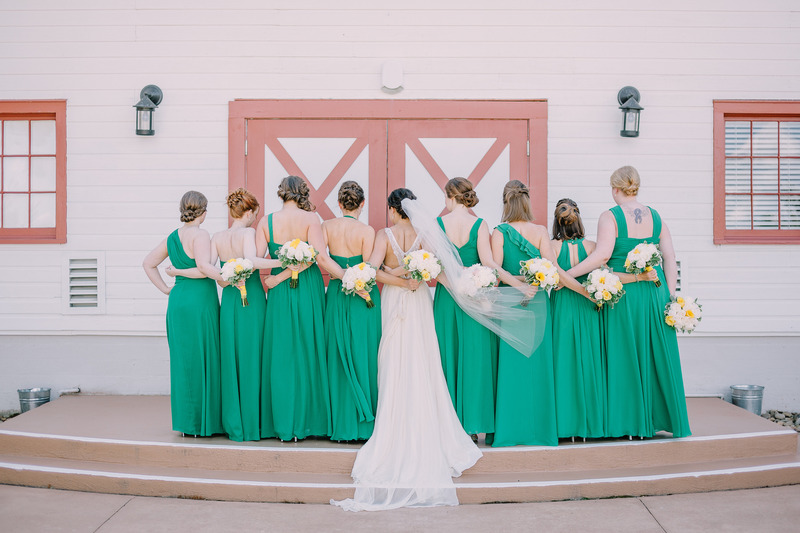 She knew the jewel tone would look flattering on all her bridesmaids and photograph well against the big white barn at the venue. All photos were taken by Logan Jarrard. Q: Why did you pick this place to tie the knot? Q: What was your favorite moment? Q: Why did you choose Azazie for your bridesmaids dresses? Q: Any tips for brides-to-be? Q: Did you enjoy the wedding planning experience? Q: Sum up your wedding in one word.